The Athens Atrium Hotel & Suites is classified as a four Star Hotel that combines comfort and elegance in a quiet environment that attracts both businessmen and tourists. 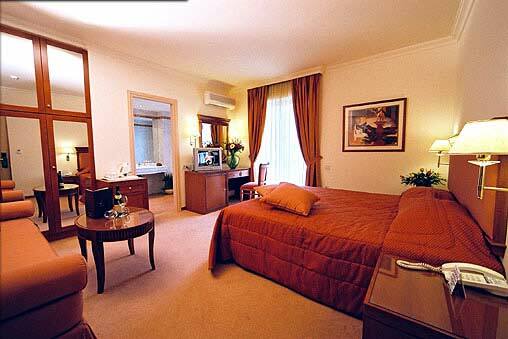 It is an elegant and functional hotel that offers high-standard accommodation and integrated service. Athens Atrium has recently undergone a total renovation and is appeals to the demanding guest who looks for a subtle luxury and a high level of services. The experienced and polite personnel of the reception desk will be at your disposal on a 24-hour basis dedicated at your service. 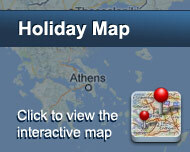 We are situated in the business and commercial district close to the historical sites of Athens. Being outside the restricted traffic zone we provide parking facilities all day long. The Athens Atrium is a family hotel with personal care and friendly atmosphere that guarantees a comfortable stay. The Athens Atrium Hotel & Suites offers 56 luxurious, comfortable and spacious Guest Rooms with high quality furnishings, warm colours and full equipped marble bathrooms. 10 of them are Junior Suites, 15 Executive Rooms, 31 Regular Rooms and some are accessible adapted. Athens Atrium Hotel & Suites is located in a quiet and friendly area, just 2 km away from the center of Athens, in Sygrou Avenue near Agios Sostis Church. We guarantee a warm, quiet and comfortable stay, whether visiting for business or pleasure. Our excellent location provides to our guests an easy access to down town area, unique archaeological sites, historical buildings, museums, cathedrals, beaches and Piraeus Port. We are situated in the business and commercial district outside the restricted traffic zone and we provide parking facilities all day long. Είστε ιδιοκτήτης ή διευθυντής στο ATHENS ATRIUM HOTEL & JACUZZI SUITES; Εγγραφείτε τώρα για δωρεάν εργαλεία, που μπορείτε να χρησιμοποιήσετε για να βελτιώσετε την καταχώρησή σας και να συνδέσετε την ιστοσελίδα σας και το σύστημα κρατήσεών σας.